The gates commemorate the Royal Australian Air Force Captain, Maurice J. Freeman a pilot in the Lancaster Bomber 460 Squadron R.A.F who was killed in action on the 23rd of November 1943. 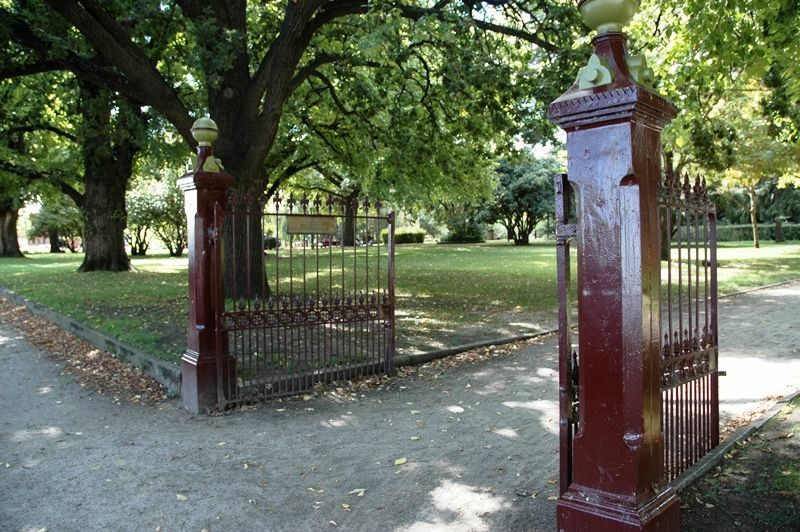 The gates were relocated from Delaware in Russell Street. To the memory of P/O. 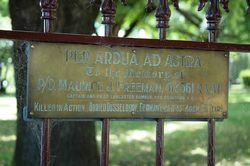 Maurice J. Freeman 413561 R.A.A.F. Captain and pilot Lancaster Bomber, 460 Squadron R.A.F.